You can even swear you don't eat ANYTHING until 1 pm, sometimes — BUT you still can’t lose weight. In fact, may be gaining. Well, you might not be eating excess calories BUT you might be drinking your calories in different forms and shapes instead. So, if you remove these drinks from your diet, then it's almost guaranteed that you'll start to see a HUGE difference in your waistline... starting from today. What’s so bad about fruit juice eh?— It’s only fruits—right? Most of the sweetness in juice come from fructose, a type of sugar associated with the development of visceral adipose tissue—Yep, that’s a fancy name for belly fat. So instead of drinking juice just eat the raw fruit. As you can clearly see, the juice versions contain almost double the calories of the fruits. If you must drink your fruits, make a fruit smoothie. 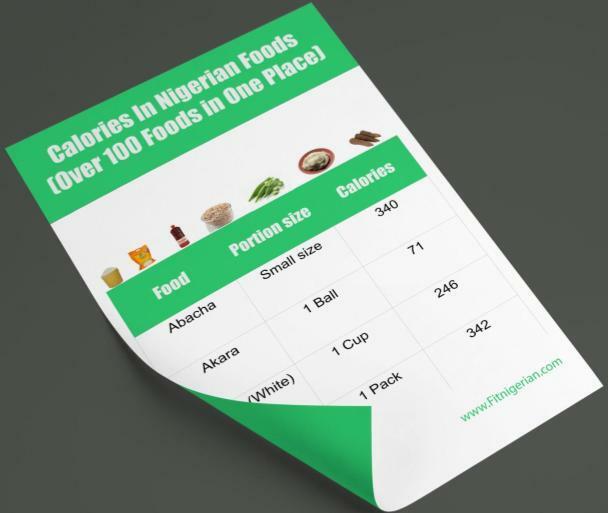 Cool Bonus: DOWNLOAD FREE PDF of Calorie content of these drinks plus over 100 more Nigerian Foods and drinks. Unfortunately, the magic recipe for high energy and weight loss doesn't come in a can. An average energy drink contains about 100 calories, of which is mostly sugar. Most times we hardly do enough activity to burn the calories they provide, which can lead to weight gain. Sugar-free energy drinks contain artificial sweeteners – and artificial sweeteners have been associated with weight gain because they cause your brain to crave junk food. What about the safety of energy drinks?? If You’re serious about losing weight (or not) energy drinks should be on your “should not drink” list. Soft drinks are not so soft on your weight. Well, to get my beach body, I’ll just replace soft drinks with their diet versions—right? New Studies found a link between drinking of diet sodas and a wider waist circumference. diet soda drinkers have a higher percentage of belly flab than those who don’t sip the beverage, a study in the journal Obesity found. Yes, booze (sorry). Alcohol is not a weight loss friendly drink, unfortunately. Too much hard alcohol and beer can add fat to your belly. Alcohol has no real benefit as such to the body because it's full of empty calories. If you must drink then a glass of wine a day is perfect for your health. To wrap up, eliminates these drinks as much as possible from your diet, and replace them with water. And I promise you that you'll see a big difference in your weight loss results. Don't forget to download the PDF of the calorie content of these drinks plus over 100 more Nigerian Foods and drink. Just click on the image below. 2. Leave a comment and let me know which of these drinks you're planning on removing from your diet.